A woman named Zaina lived in our yard, whom could be buy a night with, but not necessarily for money. During difficult times she would let Chechen militants in for the sake of the motherland, hanging the flag of Ichkeria in the window as an identifying mark. The flag was beautiful, green, with a woolly wolf featured in the middle of it. Zaina didn’t charge much for her services: just a bowl of flour and a jar of pickles. After the guests left her chambers, Zaina would put on a scarf covering her orange curls and hurried out to share some of her hard-earned food with children and the elderly who lived nearby. When the enemy forces in the form of the Russian military advanced, and the militants went beyond the border of their territories, Zaina welcomed the invaders with equal hospitality. Russian men brought canned meat and jam in small pots. After they left, the woman did as she was used to: she shared food with invalids and many nearby families. But Zaina didn’t have relatives; no father, mother, brothers or sisters who could kill her. Or defend her from such a life. It was known that she was born in the mountains of Dagestan, spoke Chechen and changed flags in her windows depending on the territorial changes in the Russian Federation. Even her age was a riddle. With an experienced eye the self-righteous local women estimated her as having entered her fourth decade. “She is only beautiful because she didn’t give birth yet!” – angrily commented the gossips in their long dressing gowns and robes. And their faces would become distorted as if in a mirror that couldn’t withstand the impact of a male fist cracked across its length and the breadth. Zaina, a woman, wore trousers, one of the only ones in the whole city. This was also considered shameful beyond compare! Nobody would allow Zaina to give birth; by local traditions such a woman is unworthy to carry a child in her womb. In ordinary families a woman is considered old by the age of forty. What else would you expect? She would have eight to nine children by then. Women typically marry at fifteen, and by about thirty years old she could already be a grandmother. A different notion of time, youth. Different mores. Mountainous. Zaina the beauty managed to outlive harsh Shariah persecutions: someone else would have been stoned, beaten with sticks, or even shot. But not her. Severe Muslim clerics wandered into our courtyard for investigations, but, having seen the blue-eyed giggler Zaina, they started laughing back and disappeared into her small flat for several hours. Slim, like a miniature statue, the beauty enchanted them at first sight. She liked dance and music. She could also prepare delicious oriental dishes quickly. Having left the woman for sale, the clerics tried to leave as soon as possible so others would not notice their faces with long beards and not start making obscene jokes about them. “How did Zaina end up in our courtyard?” I asked, looking at the cheery red-haired woman from the kitchen window, where we made plov (an oriental rice dish) with Mariam the neighbour. Ramses was a Chechen, our neighbor from the second floor. He lived with Zaina for some time as his concubine and passed her on to his friends, like a pack of inexpensive cigarettes. Zaina was given a flat that was abandoned by some Russian family during tough times and she lived in it was if it was her own. Ramses would sometimes say hello to her if he was sure that none of his neighbors could see. But of course, there’s no such thing as privacy in Chechnya, as Aunt Mariam says, everybody sees everyone. It’s customary in Chechnya to keep the door unlocked. Even if it has a lock there’s no point locking it. Nobody knocks, they just walkw in. They’re all neighbours! “It’s me. I came to get some water!” old Akhmed rattles a bucket in each hand, going into the washroom passing us by. “Mariam, I’m just going to put down my bag in the corridor.” somebody shouts from the corridor. “And my brother will come in an hour to pick it up!” Based on his voice, this must be the neighbour that lives in the opposite house, Zalina. And so it goes all day. To be honest, I didn’t share mama’s delight. I felt that everybody should enjoy their peace, everyone needs their own space, but in fear of being slapped, I kept those thoughts to myself. The plov on that summer day turned out to be amazing, and the adults decided to give some to Zaina who was pottering around her foyer. Zaina acted quietly when she was in someone else’s house, she would start to tell short funny stories if she was asked. It seemed as if her whole life was one endless holiday, and everyone else lived in war and sorrow. But Zaina only laughed and answered nothing about her youth. During the Second Chechen War, which was really the third one by then, Zaina hung the flag with the wolf again. During deep autumn, the flag was ripped by shrapnel, but she didn’t remove it because she didn’t have a new one. The shells exploded right by the entrance way, and we waited for a quiet period, so that we could run out and gather some snow for drinking. Once they fired so close to us, that it seemed that the missiles moved towards the houses in a dotted line and would reduce our house and ourselves into rubble. What does a person feel at this time, suffocating from the paint flaking from the walls and the ceiling? The house is shaking from explosions, as if from a strong earthquake and twitches like a beaten-up dog. And you are lying inside this construction on the wooden floor, with your entire life flashing in front of your eyes. You are trying to cover them up with the empty black of darkness, swallowing up all that is alive. During the war, there were a husband and a wife on the next street, Akhmed the Chechen and his Russian wife Irina had been living together for thirty five years. In the beginning, before the First war, nobody knew which one of them was Chechen or Russian – nobody ever spoke about it. It was only known that their only son had died in a car crash. And then all of a sudden it became known that Grandpa Akhmed’s wife was Russian. After this discovery some neighbors started to ask bitterly if we was going to kick her out of the house. But having received Grandpa Akhmed’s bucket of slops or a stick on the neck, they shut up and greeted him respectfully at the next encounter. Their street was lined line with private houses changed hands, the militants stepped away behind the garages with their artillery, and the Russians moved in with APCs, having started to fire with all sorts of weapons. The old couple could not put out the fires in their burning house and were hiding in the corridor which had more solid walls. And Zaina was lying on the snow, having not made it to the door of the cellar where they wanted to hide. It was not possible to raise your head and crawl on all fours in the gunfire. The woman saw the house of the elderly couple on fire, but couldn’t do anything about it. The noise of war was so loud nobody could even hear themselves speak. The old woman Irina in a dressing gown still on fire, appeared at the doorstep unexpectedly. She shouted something, waving her hands frantically, and disappeared again inside her small burning house. The armoured vehicle aimed its gun at the house. The soldiers who jumped out of the military car had begun firing at the house of the elderly couple with machine guns, thinking probably that the militants was coming from the direction of the fire. The people from the caller saw what was happening from a small hole in the wall and froze, understanding that the old couple was going to die now. And at this very second Zaina jumped up and not paying attention to the explosives blowing up near her, she ran to the APCs. Looking through the hole in the wall, the surviving residents of our houses could not believe what was happening. In her trousers, a light unbuttoned coat, having lost a scarf in the chaos, Zaina was protecting someone else’s burning home with her own body. Her red hair was falling down on her skinny shoulders in big twirls, her blue eyes were burning and she seemed incredibly beautiful in the hell of war. The Russian soldiers stopped firing from the surprise, and even the militants also quieted their cannons behind the garages. Zaina rushed into the house and dragged out Grandpa Akhmed, suffocating from smoke, and then Grandma Irina who had managed to take off the burning dressing gown and now was covering herself up with an old dark-green coat. “People live here? !” The soldiers were asking each other in some bewilderment. Having taken advantage of the quiet period, Akhmed, Irina and Zaina hurried to the cellar. Nobody stopped them. The Russian soldiers and the militants kept on fighting. Just days went past and the news of the woman for sale’s brave deed rattled around the neighbourhood. And Zaina would still sing songs and laugh and once she came to my mother to take a tarot reading. Mama has given it up a long time ago but Zaina insisted. She said it was a matter of life and death. “I’m going to have grandchildren for sure?” Zaina became wistful. Zaina took a bite of a biscuit which was sitting beside her on a chair, then we noticed that she started crying. However, she immediately started to smile through her tears, so that nobody would think anything bad of her. She hid behind a glass of water. “Do you want me to read you my poems?” I asked, trying to console her. The noise, coming through the silence. The time that doesn’t exist. Which lasts for a hundred thousand years. And each one of us will die. “We won’t tell anybody!” Mama said at once, having given me a stern look. Zaina stayed for a little bit more and left. Weeks passed. The neighbours asked each other what happened to our giggly one. Nobody knew. We, being busy with our things, also started to forget her golden red curls and blues eyes, until one day we came across old Irina and Akhmed in the market place. They had moved to their distant relatives in the village and were hardly seen in the city anymore. “Zaina has disappeared!” We announced. And the old couple, wishing for us to get home before the shooting started again, went back to their car and left. Polina Zherebtsova was born in 1985 in Grozny and lived there for almost twenty years. She considers herself a cosmopolitan as she has multi-national ancestry. Polina’s father died when she was very young. 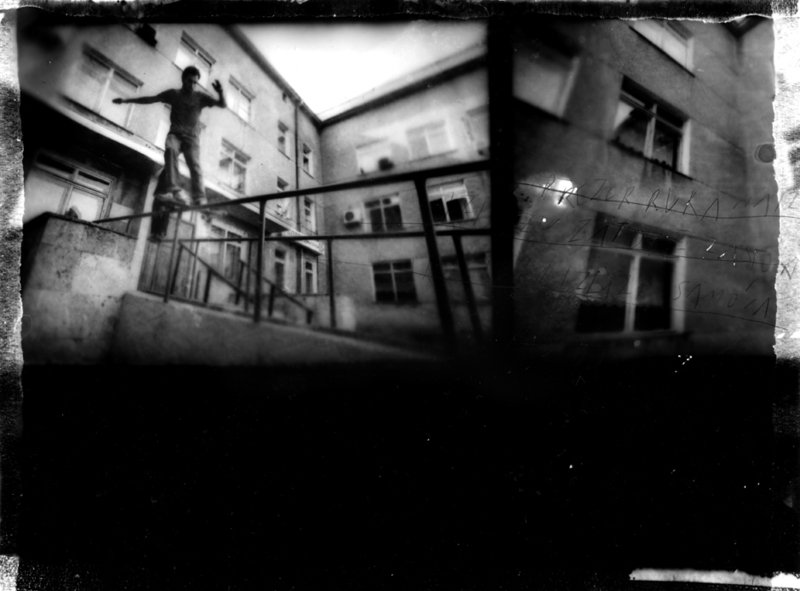 In 1994, Polina started keeping a diary in which she recorded what was happening around her. 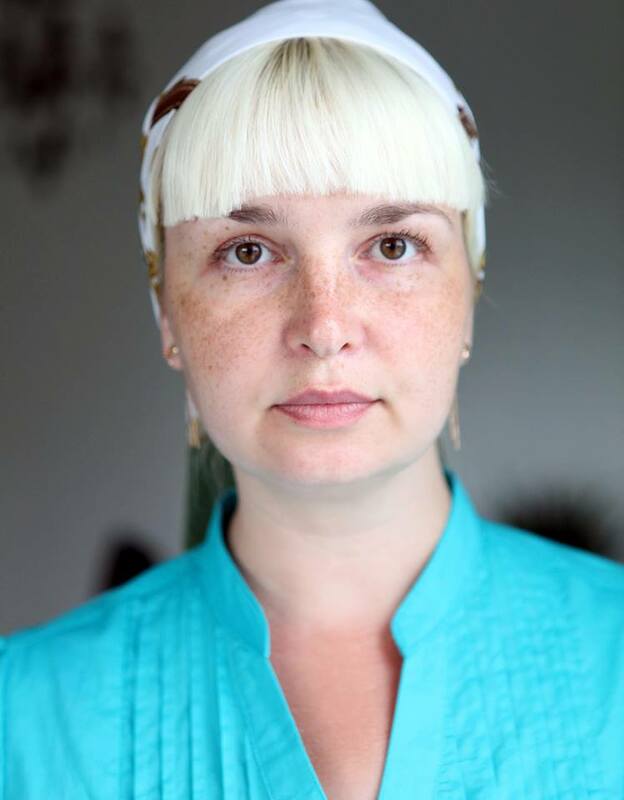 Her diaries cover her childhood, adolescence and youth that witnessed three Chechen wars. In 2006, she was awarded the Janusz Korczak international prize in Jerusalem in two categories (narrative and documentary prose). In 2012, she was awarded The Andrei Sakharov Award “For Journalism as an Act of Conscience”. The founding of Timisoara dates back to the early 13th century, it was once the first European city to have electric streetlights when it was a part of the Ottoman Empire. The city suffered heavy damage during the Send World War. 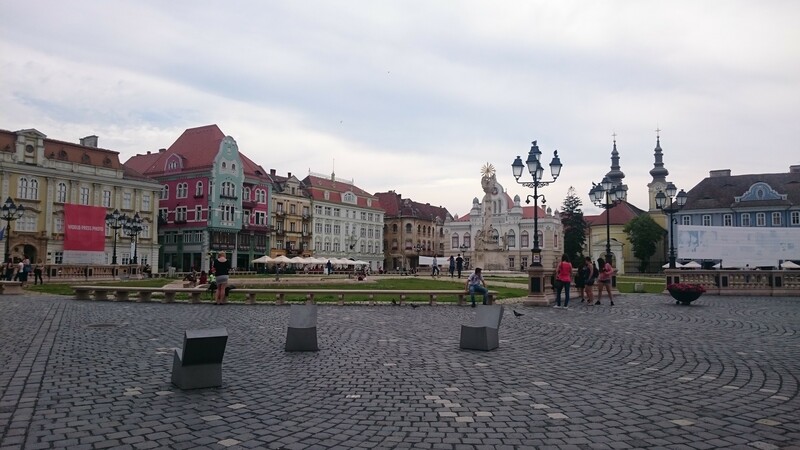 Now it is known for its charming European squares and the Timisoara Orthodcoox Cathedral.